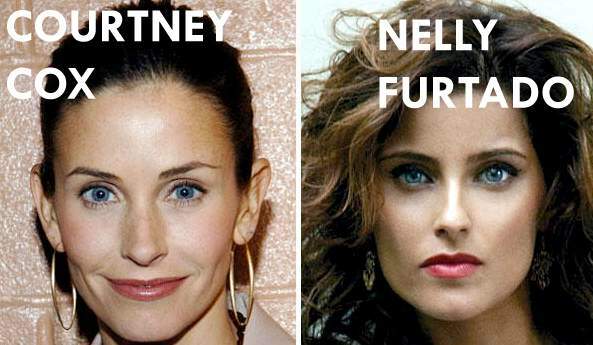 http://doppels.proboards.com/ As I posted on NIR, Courteney Cox came from a wealthy Southern family with close ties to the CIA media honcho family of Miles Copeland, which also links to the British-US rock group "The Police" (drummer Stewart Copeland). 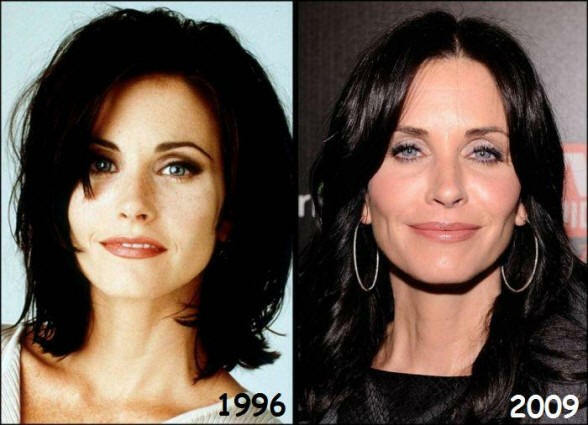 Courteney's place in the CIA media aristocracy likely accounts for her rapid rise to TV stardom. And it is the CIA (I think, anyway) that mostly controls the entire imposter replacement process and media fakery. I found the following in a old STAR tabloid magazine from January 6 1998. This is a issue with Chris Farley on the cover. I thought the sentence below was rather interesting. Devil-Worshiping rocker MARILYN MANSON is Hollywood's unexpected Casanova. He was seen at Coma Books in Los Feliz stocking up on satanic literature with COURTNEY COX. Another day he had a cozy breakfast with Scream actress ROSE McGOWAN at Duke's in Hollywood.